A visually stunning and comprehensive guide to the hit BBC series, Sherlock: Chronicles tells the full story of the show as you've never seen it before. Packed with exclusive unseen material, including all-new interviews with the cast and crew, this is Sherlock from the ground up: from story and script development to casting, sets, costumes, props, music and more. Each episode of the spectacular three series is remembered by those who made it, from the show's dazzling debut in A Study in Pink to this year's breathtaking finale, His Last Vow. 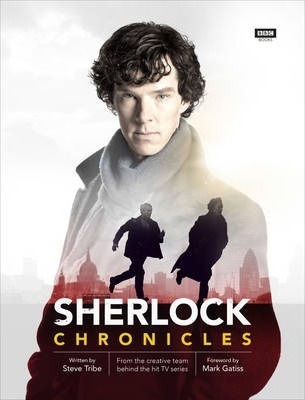 Featuring over 500 images of concept artwork, photographs, costume and set designs, and more, Chronicles is the ultimate celebration for Sherlock fans everywhere.